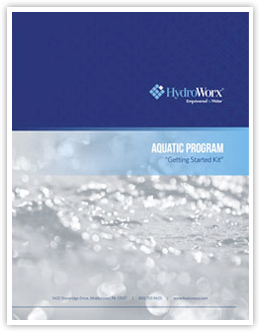 HydroWorx Aquatic Program "Getting Started Kit"
Careful and thorough planning is essential for launching any successful enterprise. Having a well-constructed business plan is also an absolute must if you need financing to get your business started. If your business is currently in the planning stage, HydroWorx – a leading provider of aquatic therapy pools for commercial operations – gives you the user-friendly tools you need to simplify the process at no cost to you! Use our Aquatic Program "Getting Started Kit" to learn how you can maximize your investment. What Types of Businesses Can Benefit From Our "Getting Started Kit"? 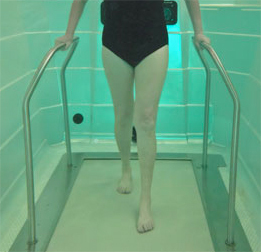 Who Uses HydroWorx Therapy Pools? Benefit a wide variety of patients and grow your patient-base. How Can a Hydrotherapy Pool Contribute to Your Business? Request Your FREE Aquatic Program "Getting Started Kit" Today! Take advantage of our free tools that can help you capitalize on your investment. Fill out the form below to receive the "Getting Started Kit" today!